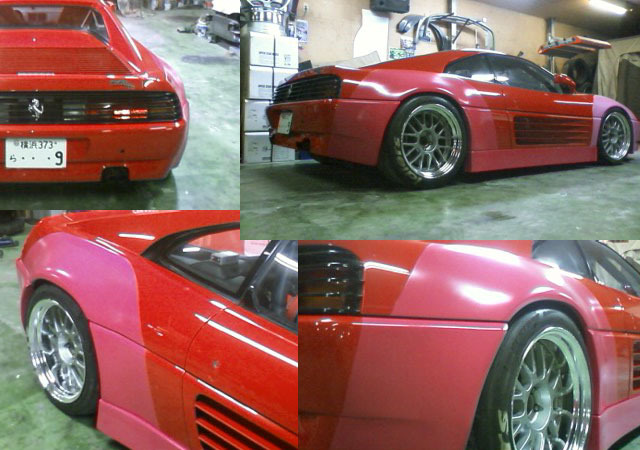 Nakai San has been known for his wild Porsches, but now he is busy building this Ferrari 348. It is starting to look very nice, the car is far from done but you can see what his plans are with it. The front and rear fenders have been enlarged and the sideskirt has been smoothed, on the standard 348 there would be an airvent.